Episode 180 – Season 15! Yeah! 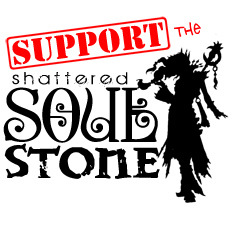 Jen is back as a guest for this brand new episode of the Shattered Soulstone! Greed starts off the episode by sharing how his birthday went at the season start in Diablo and out of the game. Thank you to all the people who joined in the fun with Greed! Jen, Manlow, and Greed share what they have done so far in the new season. Is everyone ready for Blizzcon? How about Con Before the Storm?! Find out some news about both!